You're here so you already read Speedmonkey. Thanks for doing so! Here are 15 reasons why you should carry on reading. 1. We only cover what we think, and therefore what we think you will think, are interesting stories, news and reviews about interesting cars and bikes. You won't find dreariness for the sake of filling space. 2. It's all put together by enthusiasts. Mainly by Matt, but there's tons by Colin, Sharon and over 40 other writers. We welcome any new writers who at least know what order to put words in and make them interesting. 3. Our reviews are honest. We get access to car fleets and media driving days. Nothing that needs to be unsaid will be unsaid. If it's crap we'll say it's crap. If it's great we'll say so. 4. Our reviews are interesting. Yes you want to know about mpg and CO2 but only after learning about the character of a car. 5. There's new stuff every day. Usually between 2 and 6 articles. The record was 10 in one day. 6. Our news is up to date and (usually) accurate. We've got access to all the usual media databases and press feeds. But we don't publish what looks boring. 7. We take our own photos. All car reviews come with our own photos of the cars - inside and out. 8. We do videos too. Filmed on an iPhone5 with zero budget but honest and insightful. 9. 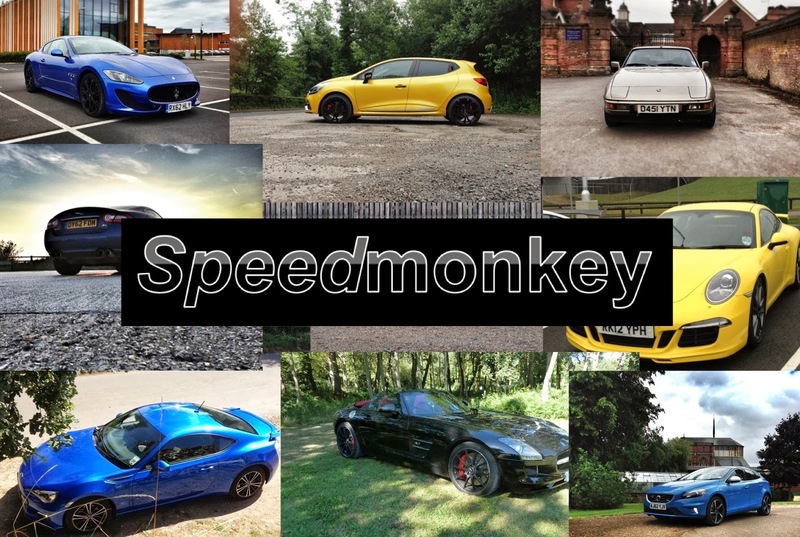 You won't find adverts dominating Speedmonkey. We publish the odd advertorial but these are marked and all links in posts are safe, and we only include them if they provide insight and reference. 10. You'll find owners own reviews of their cars in the "Living with" section. 11. We've got a Facebook page with 4 admins so there's always new content that you won't find on the main site. 12. Lots of people also read Speedmonkey. We average 150,000 hits a month and just hit 1.5 million views since we started in June 2012. 13. You can read Speedmonkey in any language via our in site translation tool.